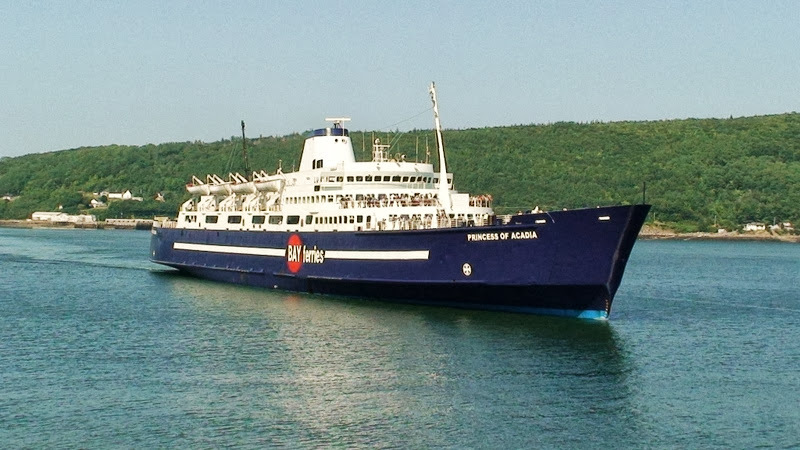 The Federal Government (Transport Canada) is acquiring a new ferry to replace the 43 year old Princess Of Acadia (below) operated by Bay Ferries on the Saint John <> Digby route. Supposedly its a done deal or close to it. The new ferry is the Blue Star Lines Ithaki currently operating in Greece. It will be sad to see the current Princess Of Acadia retied with its classic yacht-like lines that portray its Canadian Pacific heritage. I am not from around that area, but that is a nice looking ship. It's too bad it has to go. When will this new ferry arrive in Canada? Recently rode the Princess of Acadia, glad to ride one before it's retire. Neat old ship I tell you! 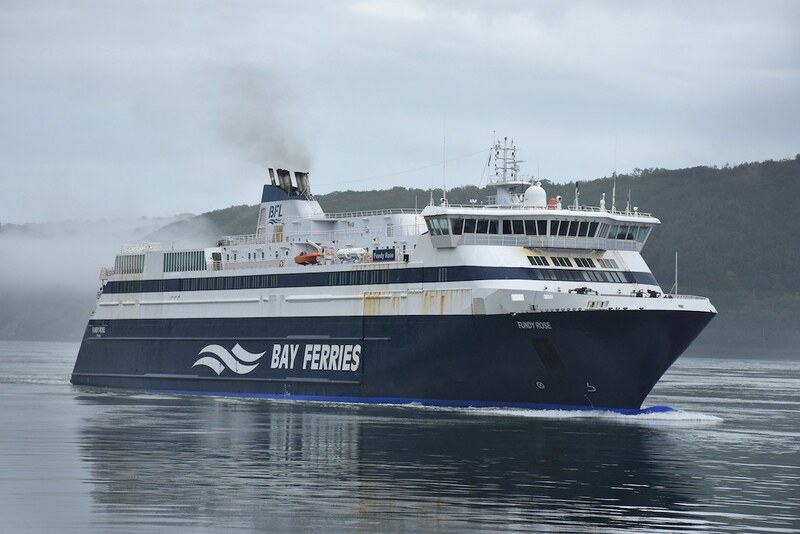 Bay Ferries new 'Fundy Rose' has entered service on the Saint John, New Brunswick to Digby, Nova Scotia run replacing the 45 year old former Canadian Pacific Railway Princes of Acadia. 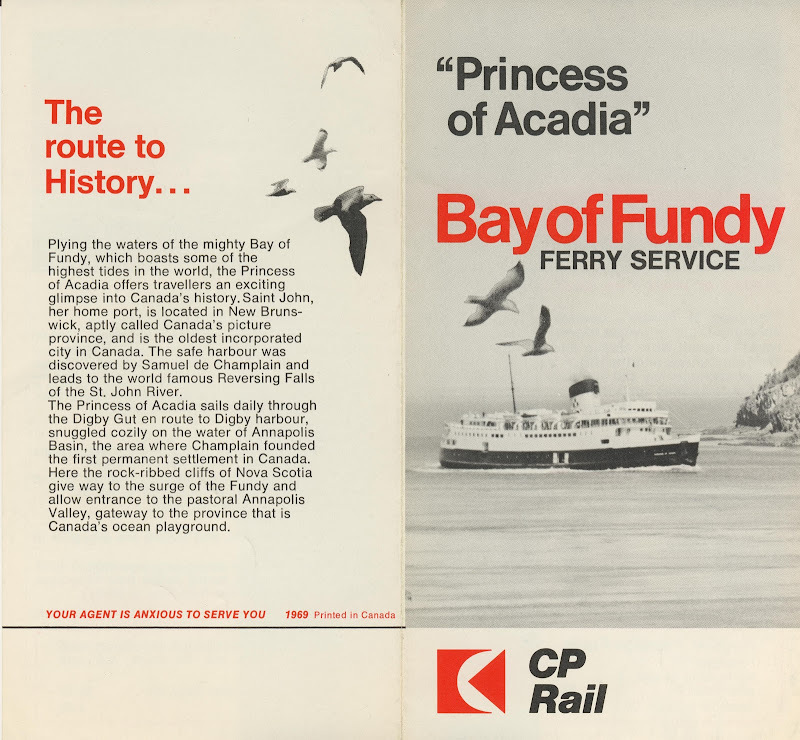 The Princess of Acadia and its predecessors were the CPR's connection across the 40 mile wide Bay of Fundy between their train, the 'Atlantic Limited' at Saint John and the Dominion Atlantic Railway at Digby... providing an alternative route between Montreal and Halifax to the CNR's Ocean Limited. The Fundy Rose is the former Blue Star Line 'Ithaki' that first entered service in 2000 running between the Greek islands. 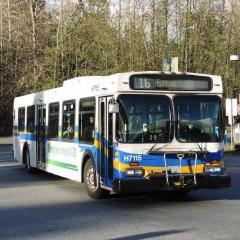 It was purchased by the Canadian Government in 2014. I was working in Saint John and decided to take the long way home yesterday......so instead of the straight 400 kilometer, 4 hour drive.......a nice 2 1\4 hr cruise on the Fundy Rose and then the drive from Digby. The ferry cost me $140.....but I did save a $4 highway toll! There is plenty of seating on board. 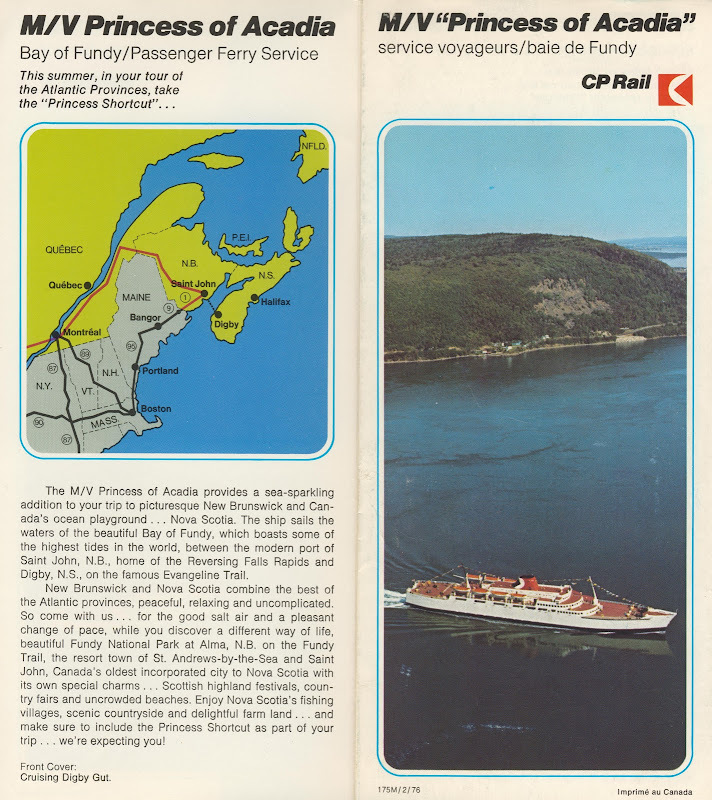 In Fundy Rose's former life it operated more as a bus between the Greek islands with lots of walk-on passengers.....whereas here it will mainly handle cars, trucks RVs and tour buses. The transfer bridge at the dock in Digby is designed to allow for the extreme differences between the high and low tides in the Bay of Fundy. 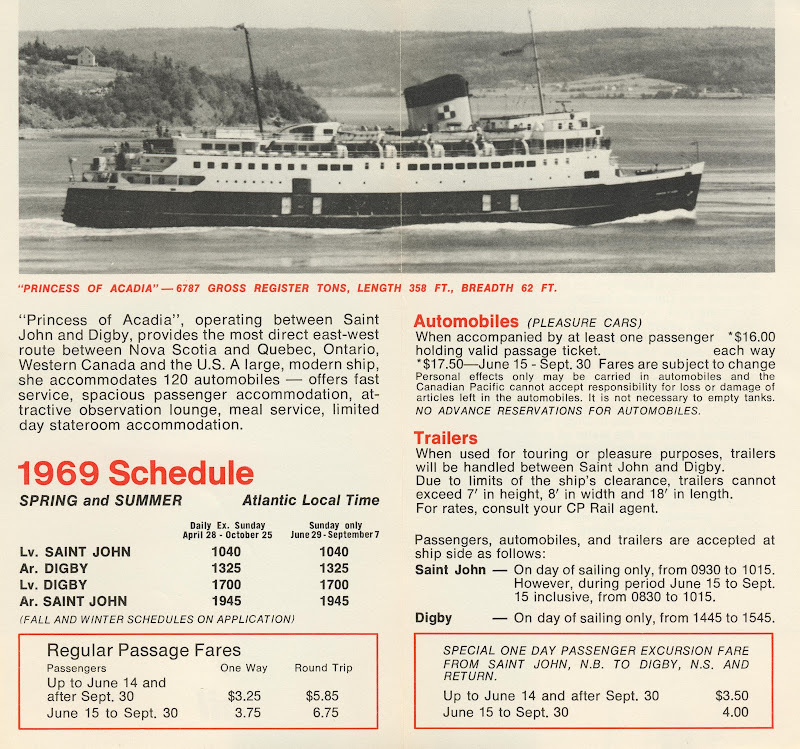 The first Princess of Acadia was the former Princess of Nanaimo the CPR transferred east from the West Coast service in 1963. 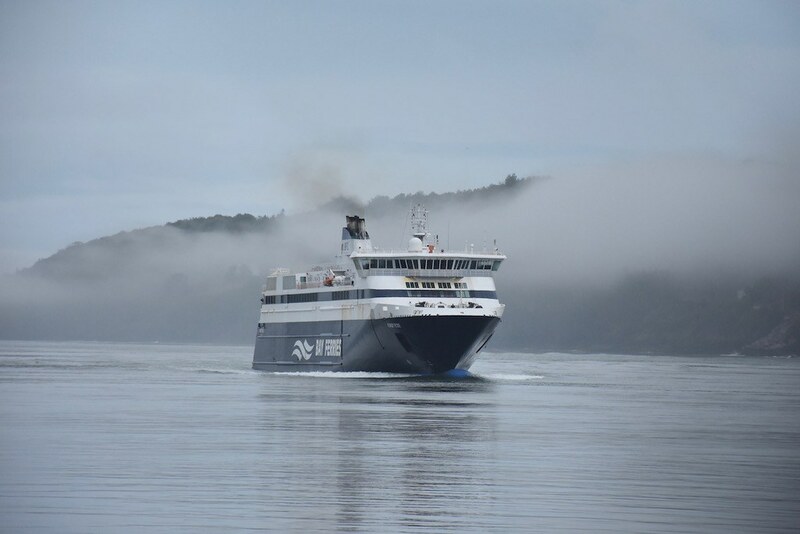 M/V Fundy Rose arriving on the 8:00 am from sailing Saint John, New Brunswick to Digby, Nova Scotia on foggy on September 20th. I am posting because we don't have many photos of her in service.